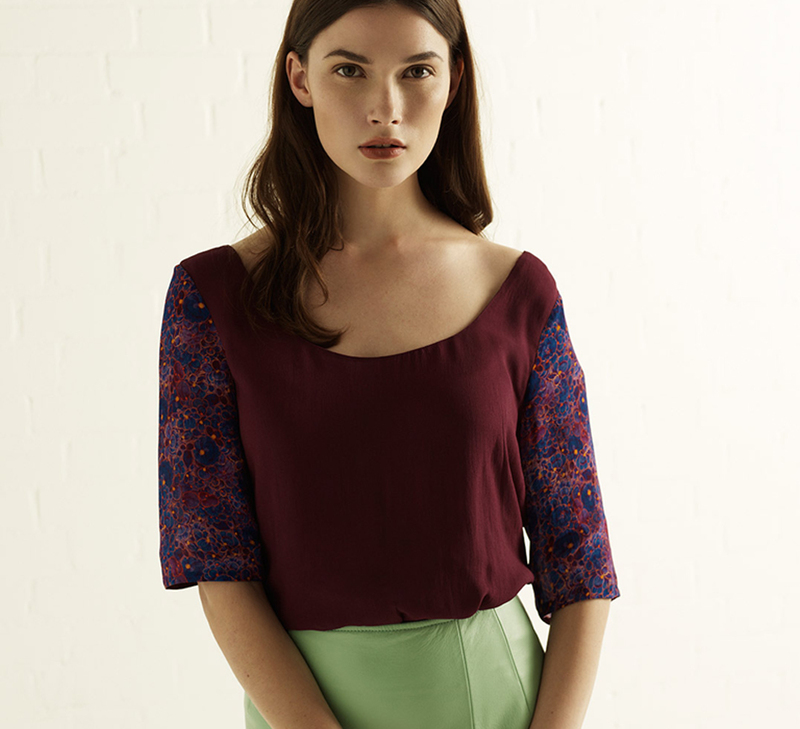 Our Mora Top is an elegant construction of printed sleeves and a plain, crepe de chine body. This piece will drape luxuriously on the body and create a lovely feminine silhouette. 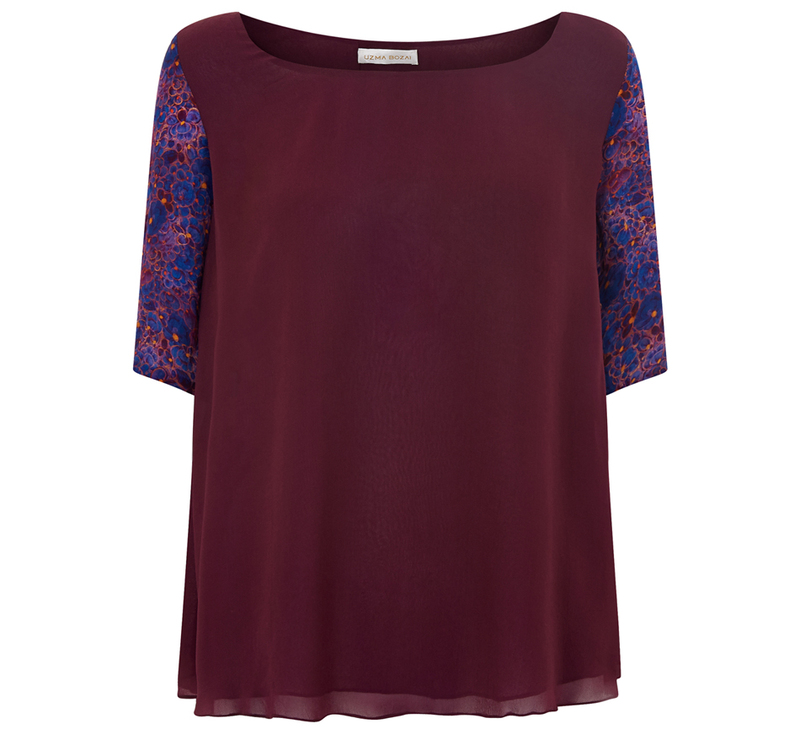 The sleeves finish at just the right length, and the neckline is perfect for showing off a delicate gold chain.